The Swedish death metal veterans bring their skull-crushing live show back to Ireland for an exclusive show in Dublin’s Voodoo Lounge on November 15th as part of their Dead Dawn European tour. 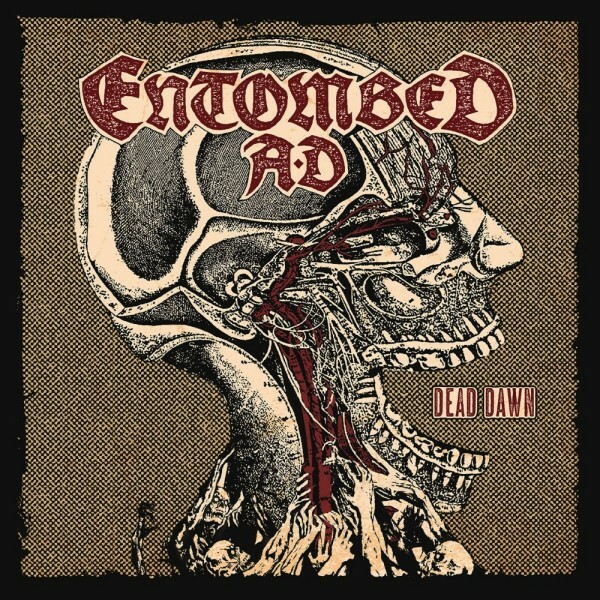 The bands second album under the ‘Entombed A.D’ moniker, was released in February of this year under the Century Media roster. Dead Dawn marks the bands return to a more traditional aggressive sound, all the while embarking on a new pathway of sonic ferocity. The Dead Dawn cover artwork was created by WATAIN frontman Erik Danielsson. The CD production was handled by a team consisting of Tom Van Heesch and Jacob Hellner of Big Island Sound in Stockholm as well as Nico Elgstrand himself, who produced a majority of the tracks whereas Svante Forsbäck of Chartmakers mastered this new beast. 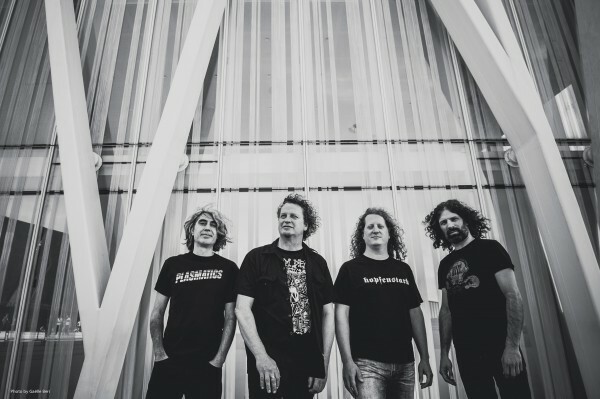 VOIVOD’s career path has endured as many shifts and disturbances as the music itself. From major label deals and big-time tours to slogging it out in clubs while metal went through growing pains in the mid 1990s; from high profile bass player ex-Metallica man Jason Newsted to Eric Forrest, who pulled double duty as bassist and vocalist in the mid/late ‘90s. Both men departed from the band by varying degrees of accident and physical injury. The Quebecois prog metal pioneers have persevered through thick and thin to arrive at a comfortable place in 2012 — a place of rebirth, rejuvenation and respect. 2016 marks the band’s 30th anniversary and one that should be celebrated when they take to the stage for their only Irish show this coming November. VOIVOD’s 30th anniversary celebrates their career as one of metal’s most influential bands. The handful of live albums, reissues and DVDs that began to surface in the past ten years proved how beloved this band really is, and now comes another album of inspired fresh material that proves VOIVOD still have many new paths to travel. What band continues to redefine and reinvent themselves 13 studio albums and 30 years into their career? 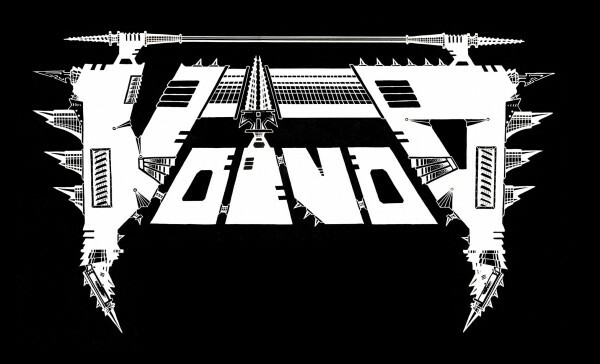 There is only one answer to that question: VOIVOD. 2015 has seen Conan venture once more into Skythammer Studio with Chris Fielding at the helm, to write the follow up to Blood Eagle. On the back of an EU tour with Ufomammut, and a headline US tour they will soon bear to the world their heaviest material to date, showing off the new found agility and cutting edge borne from the new lineup of Jon Davis, Chris Fielding and Rich Lewis. 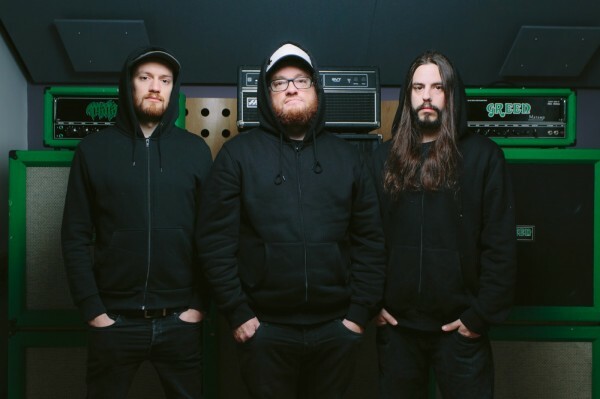 Festivals such as Maryland Deathfest, Psycho California, Desertfest Berlin, Bloodstock UK and Eistnaflug have seen Conan rise from a band who proudly patrolled the UK underground scene to true flag bearers of HEAVY riffs, totally at home on the big stage. Their shows are already the stuff of legend and the follow up to Blood Eagle promises to be breathtakingly powerful, Conan’s conquering days have just begun – 2016 promises to be an exciting year. 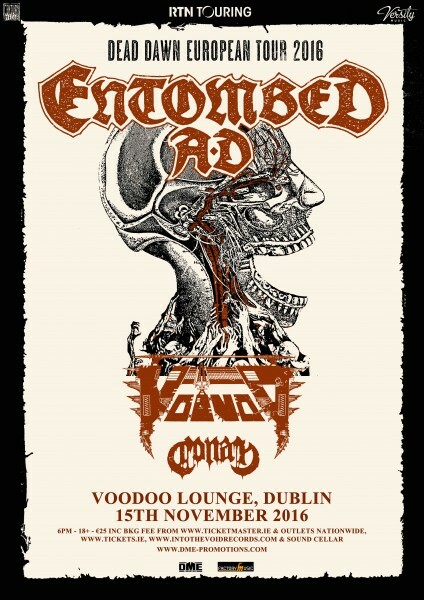 Tickets for ENTOMBED A.D / VOIVOD / CONAN are priced €25.00 (inc booking fee) and available from Ticketmaster.ie, Tickets.ie, www.intothevoidrecords.com, and Sound Cellar. Doors are scheduled for 6pm. +18 show. Please check DME Promotions for more details.